How essential is creativity to being a successful engineer? One answer to that question is: creativity, a core leadership pillar, is crucial for finding the best solution to a problem. 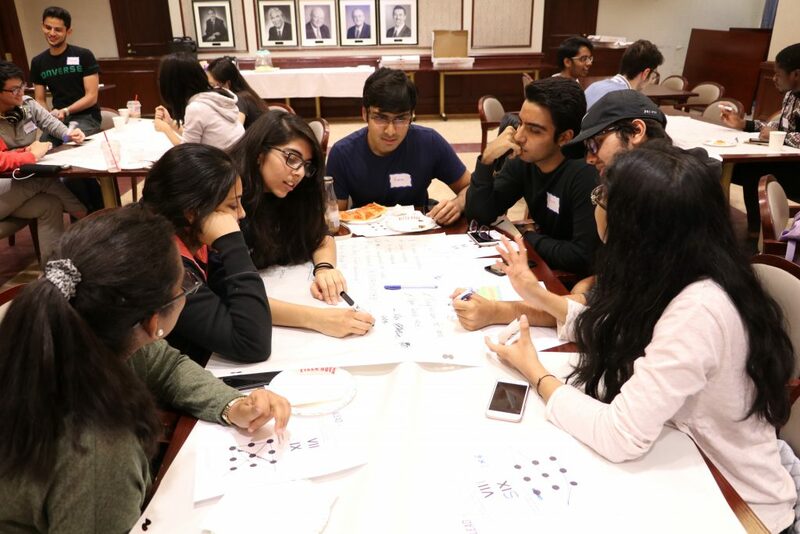 On October 18th, Professor Alison Olechowski (ILead and Department of Mechanical and Industrial Engineering) and Leadership Lab Facilitator Violet Jiang, hosted a Leadership Lab on Team Creativity in Design. At the lab, they shared that both individual and team creativity are drivers of fruitful and useful idea generation. In order to enhance creativity at the individual and team level, Professor Olechowski and Violet introduced two concepts: 1) psychological safety and 2) four principles of creativity. Psychological safety is the notion that when team members feel comfortable taking social risks, the team as a whole produces more creative ideas and solutions. The four principles of creativity are guiding pillars in achieving unbridled and copious brainstorming sessions. The four principles are: look for the next right answer, look from multiple viewpoints, defer all judgment, and challenge assumptions. One principle that stuck with me was the second one: look from multiple viewpoints. I recently attended the International Music Software Trade Association (IMSTA)’s annual conference at Ryerson University. I listened to a panel featuring Dave Pensado, an audio engineer, and Herb Trawick, a recording manager. They are a business duo responsible for creating the music engineering TV show, Pensado’s Place. Pensado and Trawick talked about how “you can’t get creativity, you can only borrow it.” For example, Kobe Bryant was known to get inspiration for basketball by spending time with high-profile creatives like Anna Wintour and Steven Spielberg. This is congruent with Professor Olechowski’s second principle of creativity. Exposure to a diversity of perspectives, people, and scenes is important. Seeing how team members approach a problem can help disrupt the one gear mindset we may get stuck in due to our own past experiences. So how does creativity relate to leadership? To be truly creative, according to the book Steal Like an Artist by Austin Kleon, you must pay attention to art that is meaningful and inspiring, and try to transmute it into your own creations (aka what Kobe Bryant did!). In my time with ILead, I have learned about the concept of a leadership journey. A consistent feature in these leadership journeys has been exposure to meaningful work and inspiring heroes. To me this suggests that not only is creativity “borrowed” and transformed, so is leadership.